Today, publisher Soedesco has announced the 8-Bit Hordes release date, which is February 1, 2019. This voxel-based real-time strategy game is the follow-up to last year’s 8-Bit Armies, making this a series. But the most intriguing part, is that the two games interact more than you might think they would. Developed by Pteroglyphs, 8-Bit Hordes takes the strategy-slash-old school pixel style of 8-Bit Armies, but injects a dose of medieval style into the whole package. This time, you’re dealing with skeletons, orcs, dragons, and whatever else you can probably think of for a fantasy-themed setting. But there’s more to it. 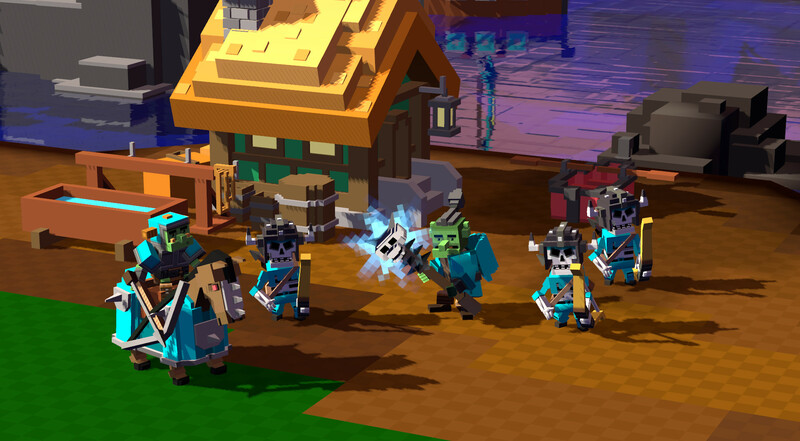 Despite the big change in setting, both 8-Bit Armies and 8-Bit Hordes players can play together, regardless of whether or not they have both games. The clash of styles and mechanics will undoubtedly get the RTS fans’ gears turning.